In the wake of the highly contentious confirmation hearing of Justice Kavanaugh, the Justices are speaking out about the importance of the Supreme Court’s independence from politics. The Justices are speaking out in defense of the Supreme Court at a time when many believe its authority is at risk. Numerous commentators have predicted that the appointment of Kavanaugh has precipitated a legitimacy crisis for the Court. According to Gallup polls, public confidence in the Supreme Court has been in decline since the 1970s. The percentage of the American public who have a “great deal” or “quite a lot” of confidence in the institution is currently in the thirties, down from the high forties to low fifties in previous decades. The significance of these numbers is not self-evident, however, since public confidence in most political and social institutions has dropped in recent years. In March, a Pew Research poll found that two-thirds of the American people viewed the Court in favorable terms. In the coming years, scholars will be trying to assess the long-term impact of the Kavanaugh hearings on attitudes toward the Supreme Court. 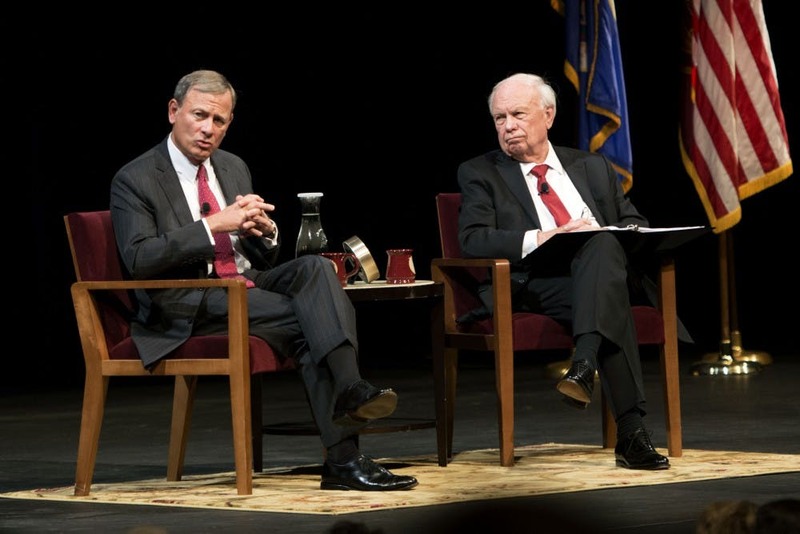 Meanwhile, the justices keep busy making the case for the value of an independent judiciary. Written by ISCOTUS Fellow James O’Brien, Chicago-Kent Class of 2021, and edited by ISCOTUS Editorial Coordinator Matthew Webber, Chicago-Kent Class of 2019, and ISCOTUS Co-Directors and Chicago-Kent Faculty Members Christopher W. Schmidt and Carolyn Shapiro.